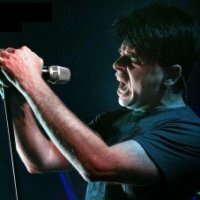 I mentioned another post earlier this month that I would soon be off to see Gary Numan at the Barbican in York, well it came around quite quickly and I was there for the show last night. It was a part of the weekend long DV8 festival across a number of York venues. It also seemed like there had been coachloads of Whitby Goths dropped in York for the weekend. It could easily have been a Bram Stoker convention. But really I jest because I love the fact that some people, mostly young, take the time to be a little different with their appearance. That indeed was one of the many things that I loved about my late, great cousin Deborah Schofield who died way too young quite a few years ago now. I reckon she would have enjoyed herself last night. Catwoman did accompany me, against my best advice, I did tell her that she probably wouldn’t like the music. But she came anyway, to try to share my interest. That is one of the many things that I love her for. But she did leave halfway through Gary Numan’s set, I was pretty darned impressed that she made it that far actually! So onto the show. Personally I thought the support band were dreadful and sit very easily in amongst the 5 worst bands that I have ever seen and I saw my first gig in 1973. Their musicianship was very good, the songs were mostly average and the lead vocalist, well I believe they need to get one! The bass player really looked the part though, he could have stepped right out of Johnny Thunder‘s Heartbreakers in the late 70s. But that is all just my opinion and they did seem to have quite a few fans. Of course it could be that they weren’t allowed anywhere near a sound check as often happens with support bands. Click here to check out their MySpace page and tell me what you think. I would like to stress that this is my opinion and I look forward to the inevitable backlash! Luxury Stranger finished at 9.30 and then we waited nearly an hour for the main man Mr Numan to arrive on stage, but for me it was definitely worth the wait. I suppose tribal loyalty (I’m a Bowie fan) means I shouldn’t like Gary Numan, but frankly I find all that kind of stuff pathetic. 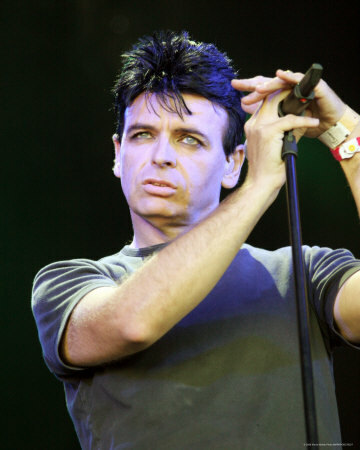 Numan opened with a kind of dark electro fanfare which rolled neatly into the excellent “Down In The Park“. I must confess that I probably know more of his late 70s work, but the newer stuff is strong and powerful and he has a great stage presence. he sure as hell knows how to work his very passionate audience. I will almost certainly buy his new album ‘Dead Son Rising’ when it comes out in September. He played the classic “Cars” shortly after Catwoman left the building. A shame really as this may have been the one song she would have recognised. He finished the pre encore part of the set with my favourite; “Are Friends Electric?” it still sounds fresh and futuristic. The main synth riff was replaced with a piano riff which works really well. He was only off stage briefly before finishing with two songs. The light show was bloody good as was the sound and the venue is great. I went away happy at midnight as I would imagine the rest of the audience did too. I would definitely go and see him again and I truly believe that his show would work well at the Reading Festival, probably late afternoon on the Main Stage. Are you listening for next year Reading organisers? I don’t have any recordings from last nights show so here are a few excellent clips for your further listening and viewing pleasure. Last weekend I accompanied the beautiful Catwoman to a free preview of the new film ‘The Social Network‘ at City Screen in York courtesy of the Guardian. It is based on the book ‘The Accidental Billionaires‘ which recounts the story of the birth of Facebook. The script is tight, pacey and at times very, very funny indeed. The film’s strap line is ‘You don’t get to 500 million friends without making a few enemies’ and this is the focus of much of the film, particularly all the legal wranglings about whose idea it was. This largely focuses on the relationship between Mark Zuckerberg (Jesse Eisenberg) and his former partner Eduardo Saverin (Andrew Garfield) and his other battle with the Winklevoss brothers who he refers to rather amusingly as the Winklevi. I never realised the part that Sean Parker, the guy who created Napster, played in the early days of Facebook. He is played incredibly well by none other than former Mickey Mouse Club star Justin Timberlake. 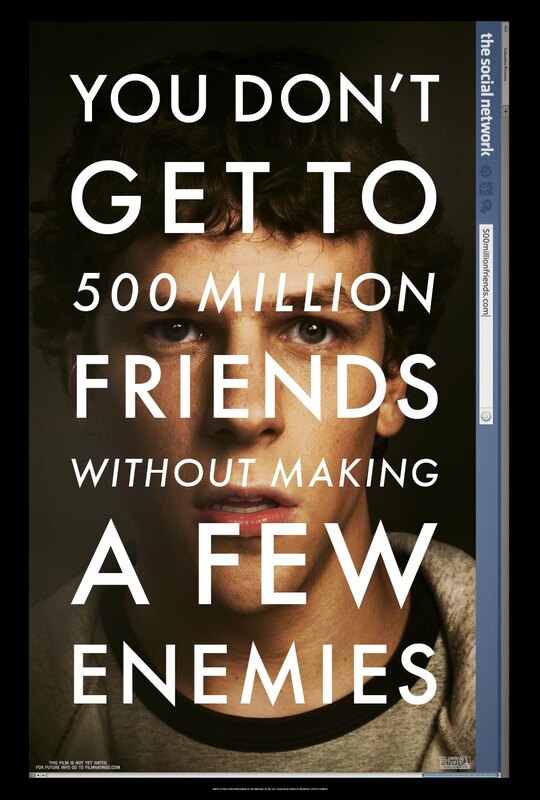 I suggest that you get yourself off of Facebook right now and go and see this movie, you won’t be disappointed! I can also confirm that JUSTWILLIAM1959, WITH JUST A HINT OF MAYHEM and CATWOMAN all ‘Like’ this movie. Here we are again, my my doesn’t time fly? Probably not if it wants to take a suitcase on a Ryanair flight though! In other music news President Obama presented Stevie Wonder with the Library Of Congress Gershwin prize for services to music. This is presumably for all the fantastic work he has produced in his lifetime, well with the exception of “I Just Called To say I Love You” perhaps. Well done Stevie! The second of todays birthdays is that of the late great (those l’s and g’s are just ever present!) Johnny Cash he would have been 77 today had he not died in September 2003. After graduating from High School he worked for a short time in a car plant before enlisting with the US Airforce. He was stationed in Germany which is where he learnt to play guitar and write songs. He even formed a group with some fellow servicemen called the Landsberg Barbarians. His first published song “Hey Porter” was published in the US forces journal the ‘Stars and Stripes’ in the early 50’s. Early in his career he claimed that his ancestry was from the Cherokee nation, it turned out that this was not strictly true and his roots can apparently be traced back to 17th century Scotland. I’m half Scottish, perhaps we’re related, but I doubt it because I never have any cash! I acquired a taste for the music quite late on really, largely because my Mum and Dad loved him, so it wasn’t cool for me to like him as a teenager. But I absolutely love the stuff he did with Rick Rubin in the years before his death. 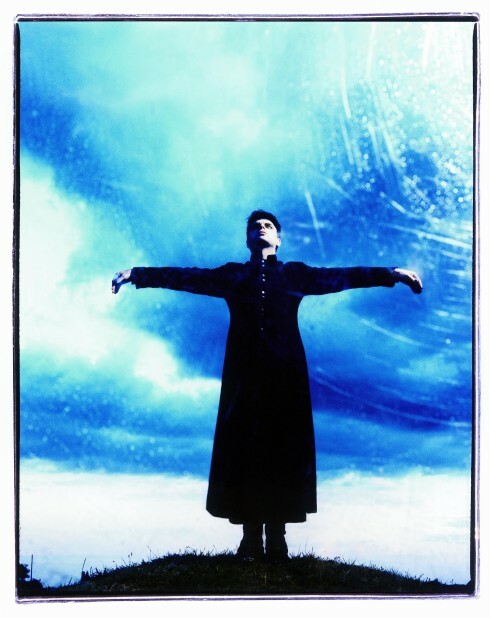 So from that period here he is with the excellent cover of the Trent Reznor song “Hurt” This song makes me cry almost every time, OK so I’m a wuss, I can live with that! The final birthday for today is that of Sandie Shaw, she is 62 today. I wonder if anyone will buy her some shoes for her birthday? Her real name is Sandra Goodrich and she used to work as an IBM machine operator in Dagenham, Essex in the UK before she found fame. She spent most of her early singing career singing in bare feet, she didn’t necessarily choose this option, but her manager Eve Taylor (who also used to manage Adam Faith) felt it would be an excellent gimmick that the press would pick up on, and that they certainly did! She was the first UK winner of the Eurovision Song Contest in 1967 with “Puppet On A String”. The following year she celebrated her 21st birthday with a party in the Madame Tussauds Chamber Of Horrors in London. I’m not sure if that is where she found him, but in March of that year she married fashion designer Jeff Banks. She spent quite a long while away from the limelight before a barnstorming return with an excellent cover of the Smiths “Hand In Glove” in 1984. Morrissey was a lifelong fan and had always wanted to work with her. So for Mozzer it was truly mission accomplished! On this day in 1969 Peter Sarstedt was at number one with his classic song “Where Do You Go To My Lovely” The song was a joint winner of the Ivor Novello award in 1969 along with David Bowie’s “Space Oddity” (at long last another Bowie reference!). His two brothers also had hit songs. His older brother Richard had a big hit with “Well I Ask You” as Eden Kane in 1961 and his younger brother Robin had a hit in 1976 with “My Resistance Is Low” Here is Peter with his classic “Where Do You Go To My Lovely” watch out for the intro too, I think that is Simon Dee. Does anyone know what happened to him? And finally on this day in 1997 songwriter Ben Raleigh died after setting fire to his bathrobe while cooking. He should have just ordered a Fats Domino Deep Pan from Dominos! He wrote many songs including “Tell Laura I Love Her” and one that I’m sure most of you know whatever age you are, “The Scooby Doo Theme” come on grab yourself a scooby snack and sing along!